Currently various models of cars are available with a variety of price. For those who have a prized wealth of course that is pursued or purchased is the car output terbarau if necessary a limited edition to be different with people for the prestige rise. But for us the middle class of course the purpose of buying a car is not the case. Even with consideration of price and purchasing power we usually look for used cars. For those of you who fund to buy a good quality new car and fulfill the dream is not enough, buying used cars (used cars) can be an alternative. 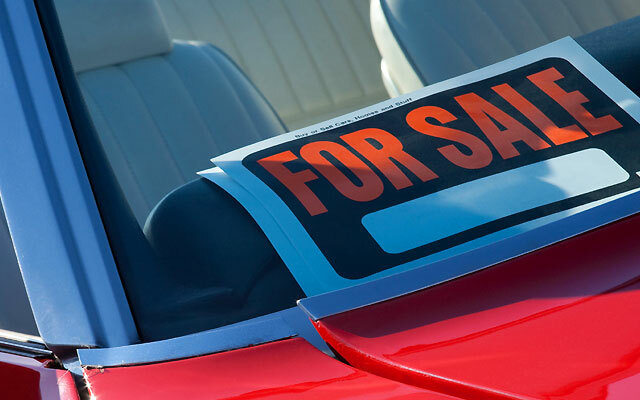 For safety and comfort, used car buyers must be thorough. If not careful instead of the profit earned but it's just a lucky gotten. Before deciding to buy a used car it would be nice to do market survey first to see price comparison and other brands with the same relative price. It could also be wondering to friends, neighbors or families who once owned a car as would be purchased. If you have contacts, you can consult with the repair shop first to ask some important things related to the car such as maintenance costs and spare parts availability. 2. Do not be easily tempted by the appearance of the car. Do not be easily tempted by the look of the car. If you do not understand the car better invite acquaintances who understand the car. Take more careful checks on car machines, bodies, and letters (documents). If possible do check by opening the hood, researching the parts that are easy porous, researching the engine, etc. 3. Perform a test drive. Do a test drive to make sure the car is in good condition. Listen carefully during the test drive like the sound of the engine and the strange noises that arise during the test drive. If unsure, repeat the test drive to find out the source of the sound. 4. Record all the strange things on the car. Some cars that are quite old usually have some strange things that are not fair. An example is the smell of burning oil or burning rubber. If you can smell the odors check more carefully as with the sight of vehicle exhaust and vehicle engine. Check carefully the vehicle letters from vehicle registration and BPKB. Check further ownership of vehicle and vehicle origin. There are many advantages if we know the early history of users of these vehicles. 6. Check the frame number and body. Check the frame number and body. The frame and body numbers must be accurate between documents and physical evidence. 7. Perform a physical check in the nearest office or mutation destination. 8. Do trading contracts (should be written). Before deciding the purchase of vehicles do akad buying and selling. The seller must have a clear identity so that in case of problems with the vehicle can be resolved immediately. In addition to the problem of the above machine number, I also had bought a used car at a large dealer in Jogja. The day after I bought the vehicle, the car broke down and there was a strange noise. The sound does not show up during the test drive. Finally the car had to go down the engine. As a buyer I am very dissatisfied and all the repairs I charge to the dealer. A vehicle seller should have a clear identity and have an easy agreement. If the seller is too convoluted to be avoided and look for another. Do not be lulled by the salesman's persuasion. Experienced traders usually issue utterances that can make potential buyers hypnotized. This will get worse if the seller knows the prospective buyer does not understand the car.